(Alexandria, Va., May 9, 2017) – A new online course certifies parking, transportation, and mobility professionals as Parksmart Advisors—able to guide parking facility owners and managers in implementing sustainable strategies to reduce energy and environmental footprints and ultimately, to earn Parksmart (originally Green Garage) certification. In addition to supporting industry efforts to make parking sustainable, a worthy endeavor in its own right, becoming a ParkSmart Advisor enhances knowledge, provides an added source of income, and serves as a career booster. Like the face-to-face training course that has certified several hundred advisors to date, the online course teaches candidates the specific management, programmatic, technological, and structural elements of Parksmart certification by the Green Building Certification Institute (GBCI), the certification arm of the U.S. Green Building Council (USGBC), which administers LEED. Now recognized with the full suite of LEED certifications, Parksmart certification is granted only by GBCI, the sustainability industry’s sole certification and credentialing body. IPI is the exclusive USGBC Education Partner providing the education required to earn this valuable certificate. Conrad says interest in sustainable parking will create considerable demand for Parksmart Advisors who can lead and facilitate the Parksmart certification process. 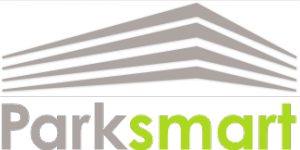 Becoming a Parksmart Advisor is ideal for engineers, architects, consultants, and others involved in parking facility planning, design, and construction, as well as existing LEED APs and LEED GAs. The online course is composed of four 90-minute sessions, held from 1:00 to 2:30 p.m. Eastern on consecutive Tuesdays and Thursdays. The instructor-led modules are scheduled according to demand, with a 14-participant maximum. Participants meet virtually and work collaboratively to share information as they would in a face-to-face course. All materials are downloadable and may be retained for future reference. Upon completion, Parksmart Advisors are knowledgeable in how Parksmart-certified garages lower costs, enhance value, and increase sustainability; how to evaluate a parking facility for certification; how to recognize, verify, and encourage environmentally sustainable solutions in new, existing, and retrofitted parking garages; and how to determine what improvements facilities need to make, if any, to pursue certification. The online course fee is $325 for IPI members, $425 for non-members. For more information, email federici@parking.org , or visit parking.org/parksmart. The International Parking Institute is the world’s largest association representing parking professionals and the parking industry.